Join Daisy on her imaginary romp through the jungle! 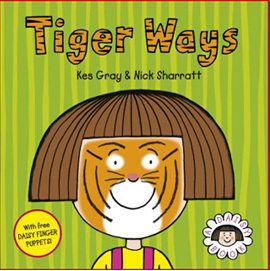 After her mum is stolen by a gang of mad elephants she is adopted by a family of friendly tigers and must learn the "tiger way" to survive. Still it's not all bad, she gets to live in a cave, sleep in trees and best of all, she doesn't need to take a bath - because everyone knows all cats are afraid of water! This is another fantastically funny tale, with all the trademark cheek and wit that has made the Daisy series such a roaring success!